Petrobras has signed an agreement that sets the bases for the partnership between the two companies for the Abreu e Lima Refinery, in Pernambuco. The agreement lays out the terms for the incorporation, including shareholding, set at 60% for Petrobras and 40% for PDVSA. It also defines the terms for the future signing of the Articles of Incorporation and of the Shareholder Agreement. The specific terms of the agreement are protected by a confidentiality agreement. The Abreu e Lima Refinery will get an investment in the order of $4.05 billion and will be capable of processing 200,000 barrels of oil per day, 50% of which from Brazil (Marlim) and 50% from Venezuela. 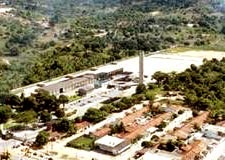 The plant is expected to go online in the second half of 2010 and to reach full capacity in 2011. Some 65% of the processed volume will be diesel fuel, the oil derivative that is used the most in Brazil. Cooking gas (LPG), petrochemical naphtha, and coke – solid fuel used in the steel, cement, thermal, and aluminum industries -, will also be produced. Petrobras will give continuity to its studies on a corporate share of up to 10% in the oil exploration and production project in the Carabobo 1 field, in the Orinoco Range, in which PDVSA will hold no less than a 60% share. The studies will continue until the bidding procedure, announced by PDVSA for the remaining 30% share, has been completed.